Memphis grew up traveling the world with her father, visiting archeological digs and learning lost languages and cultures. But when her father died unexpectedly, her life changed to boring, normal school with people who think they know more than she does under the watchful eyes of her guardians, friends she never knew her father had. Until one evening she realizes a shadowy figure is following her. When she catches him by surprise, Memphis meets Ash, sent by an ancient cult to discover the secret her father might have been able to solve. Memphis finds out her dad is still alive, held captive by another ancient cult also after the icons to be found if the secret is revealed. There’s no way Ash can decipher the clues and find the icons himself. And Memphis doesn’t know where her father is being held. They’ll have to work together for them both to get what they want. I Do Not Trust You had such an intriguing premise: adventure, ancient cults, archeological mysteries…but the delivery was a bit short on the adventure front. Memphis was a great character, just a touch naïve, which makes sense, considering she hasn’t had much interaction with people her own age. I loved her intelligence, and her determination. Ash…was just kind of “meh” for me. He wasn’t horrible, just kind of wishy-washy. But this was still a fun, quick read. Laura J. Burns grew up on Long Island. Melinda Metz grew up in San Jose, California. I Do Not Trust You is the duo’s newest novel. I do no own this image. Image belongs to Star Bright Books. Catherine Carvell was born in England but moved to Australia at age 8. She loved nature and stories, so she studied biology and journalism. Now she lives in Singapore with her family and pet turtles. Darcy Moon and the Aroona Frogs is her first middle-grade book. Darcy Moon has enough problems, her father’s wacky job and her mom’s hairy armpits are just the tip of the iceberg. When she wanders into the local swamp and an old turtle asks for her help, she is understandably freaked out. The Aroona frogs are disappearing, and Darcy is an Earth Guardian. She has to help, but she’s up against a local millionaire while she tries fix the food-chain and save the swamp. And that doesn’t count the talking frogs. Darcy Moon and the Aroona Frogs is a unique, humorous middle-grade book dealing with environmental issues, greed, and quirky families. It’s totally worth reading…and I don’t even have kids! I do not own this image. Image belongs to Delacorte Press. Lada Dragwlya is a princess, but she’s far more interested in strength and survival than in finding a husband. When her father barters her and her gentle younger brother Radu away for safety, Lada learns that being ruthless is the key to true power. Trapped in the Ottoman Empire, far from her beloved Wallachia, Lada learns to hide her emotions so she and Radu will not become mere pawns in the hands of the sultan, and vows to fight her enemies to her dying breath. Then they meet Mehmed, lonely son of the sultan, destined to rule the Empire, but friendless and at the mercy of those with real power. Radu feels that he’s made a true friend, and Lada wonders if Mehmed is someone she can finally show her emotions to. But Mehmed is the heir to the Ottoman Empire—which Lada has sworn to fight against, and the place that Radu now considers home. Will love and loyalty prove stronger than vows and vengeance? And I Darken is a dark, brutal book about a fierce girl who must grow into her strength amidst war and intrigue. Lada is not an easy character to like, but her indomitable will and passion carry her through as she finds her true self. There is plenty of action in this story, but it is the characters themselves that the reader will truly find riveting. Claire Davon began writing as a teenager, then life got in the way for a while. She has since shoved life out of the way and started writing urban fantasy, paranormal, and contemporary romance. Her newest novel, Fire Danger, is the first book in the Elements Challenge series. Rachel Quinn doesn’t remember much of her early years, only vague memories of her parents and faint images of fire. Since her parents died years ago, Rachel has never been able to ask anyone about these visions of fire, and she withdraws into herself, afraid of her memories and the blackouts she has. Then she finds herself cornered by a pack of werewolves—werewolves!—and rescued by a man with wings, and something comes to life inside of Rachel. She isn’t human, which she never knew was an option, but she doesn’t know what she is—or who—until the gorgeous Phoenix helps her find out. Phoenix is in the midst of his Challenge, the battle with his Demonos counterpart, but Rachel and her mystery add a deeper meaning to this Challenge than Phoenix has ever seen. Phoenix and Rachel must find out the truth about what she is, and stop the Demonos’ plot to destroy the human race. Fire Danger begins with Rachel’s attack by werewolves and Phoenix’s rescue, and the pace never slows through the course of the novel. The many layers in this novel twist together with danger as the relationship between Phoenix and Rachel grows deeper. 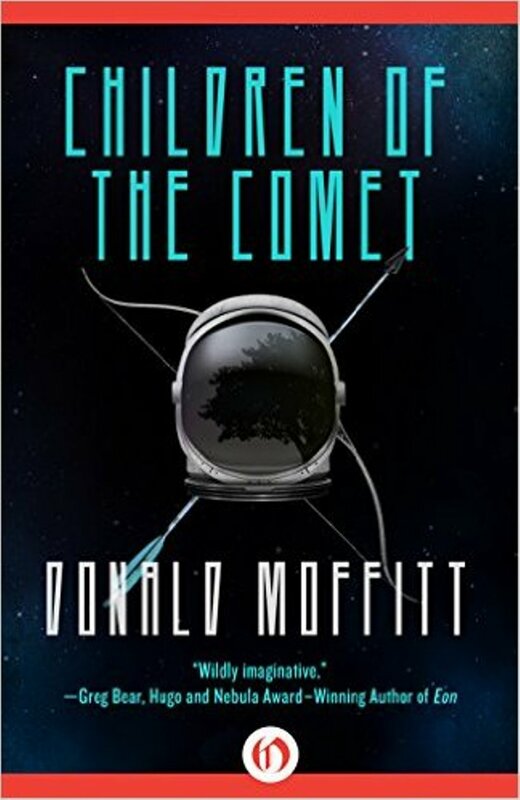 An entertaining read set in an intriguing version of our own. Patrick W. Carr is the award-winning author of The Staff and the Sword trilogy. He’s also a high school math teacher by day, though he’d really like to be a jazz pianist. His new book, The Shock of Night, is the first book in The Darkwater Saga, and it hits shelves today. Willet Dura is the king’s reeve, a private investigator who reports directly to the monarch. His elevation to the lowest-ranking noble in a world ruled by the gifted, along with his dedication to his job, have given him enemies, but Willet’s only concern is finding criminals and bringing them to justice. When a guard is killed, and his priestly charge is mortally wounded, Willet goes to question the dying man. But the man’s only answer is to touch Willet and scream in a strange language before dying. Willet soon finds he has more questions than answers, as his senses are skewed in a dizzying manner and he can sense the thoughts of those he touches. Soon he learns he’s been given a gift that isn’t even supposed to exist, and with it, an enemy that wants to destroy him, his city, and the world he knows in a bloodthirsty quest for dominance where the enemies are hidden in plain sight, trapped by a past they do not even remember. 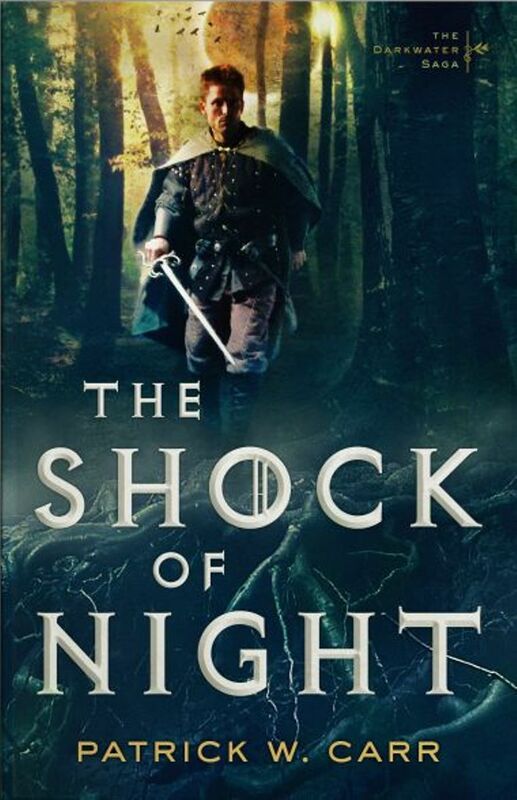 The Shock of Night is an intricate tale of intrigue and darkness, with Willet’s dedication to the truth leading him onto twisted paths he never imagined. His courage, his beliefs, and even his soul are tested in the fight to find the truth and save his city and the lives of those he loves. What, in the secret reaches of your soul, do you long for, maybe never having the courage to say it out loud, but you really, really, really want? You know, if the stars aligned, you held the Golden Ticket, and your fairy godmother all showed up on the same day. This is probably something you haven’t ever dared to admit, to anyone. Do you dream big? Like Lord of the Rings and The Hobbit trilogies big? Or are your dreams smaller, more…realistic? Sure, lightning can strike. Look at the success of the above mentioned movies, the longevity of the books themselves. Or the wild popularity of the Harry Potter series (books and movies). Or The Hunger Games. Can you imagine seeing something you thought up on a movie screen? That must be like the most surreal thing ever. Watching a movie of your thoughts. Just wow. I can’t imagine. So there’s those kind of writer dreams. Then there’s a slightly smaller version: I just want to be able to support myself, pay the bills with my writing. That’s it. I’d be ecstatic with that accomplishment. Sure, a bestseller and a movie would be awesome, but being able to make writing my job is the goal for me. What’s the goal for you? Nicholas Conley loves to tell stories, especially when fueled by travel or good coffee. His newest novel, Pale Highway, combines his love of storytelling, science fiction, and his experiences working with Alzheimer’s patients. The novel is available October 20th. Gabriel Schist was once the Nobel Prize winner for creating a vaccine for AIDS. Back then, Gabriel was younger, rebellious, and had one of the finest minds in science. Now he’s stuck in a nursing home, suffering from Alzheimer’s. And he’s aware of it, making life in the nursing home that much worse. When a fellow resident is struck with a horrible new virus, Gabriel’s world is turned upside down. One by one, the other residents fall prey to the virus, and Gabriel realizes he’s the only one who can stop its spread. But Gabriel’s brain isn’t cooperating this time. He’s losing bits of himself, having debilitating hallucinations, and fighting every step of the way as he tries desperately to find a cure. This time, his enemies aren’t just a horrible disease and a disbelieving public. Now he must struggle with his very mind if he’s to win the race to save the human race. Pale Highway is a fast-paced ride into the mind of a man struggling against one of the most horrible diseases on the planet. Gabriel’s past is told in flashbacks to his youthful brilliance that contrast sharply with his Alzheimer’s symptoms. The enclosed world of the nursing home is his reality, and the other residents are vibrant characters who don’t understand Gabriel, or his struggles to save them. Even Gabriel doesn’t fully understand himself, but he wants to. Pale Highway brings his struggles for survival along with his fierce desire to hold off his symptoms long enough to save everyone around him to brilliant, beautiful life. On a personal note, I have a family history of Alzheimer’s, so Gabriel’s struggles with the disease were both heart wrenching and familiar. I’ve never read a story like this, where the protagonist struggles so profoundly with the disease, and the narrative brought it vividly to life. There’s also magic in this story, in the little things, and the big ones, that Gabriel discovers along the way. It’s well worth the read!